Join us for an evening of networking and a pottery lesson at The Pottery Paddock! The class will commence at 5:30 and go until about 7:00 pm. Explore your creative side by attending our April meeting of the Greater Rochester Young Professionals! 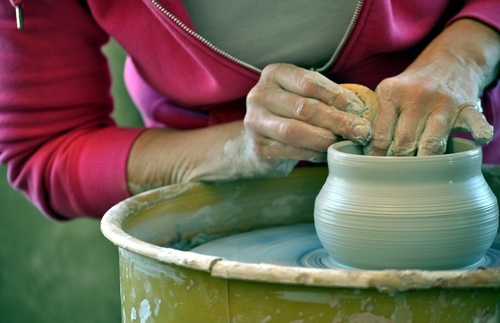 This 1.5-2-hour class will introduce attendees to pottery and will enable them to create their own work of art. All materials are included including the clay and firing of your masterpiece! The cost to attend this meeting is $25.00. We need a minimum of 4 Young Professionals to attend and the studio holds a maximum of 12 attendees. Spots fill up quick, so be sure to register using the link below! A discounted, $25 charge per person to attend the class, this includes all materials and firing of your pottery!